Teams of technicians worked "round the clock" Saturday to restore hospital computer systems in Britain and check bank or transport services in other nations after a global cyberattack hit dozens of countries and crippled the U.K.'s health system. The worldwide attack was so unprecedented that Microsoft quickly changed its policy and announced that it will make security fixes available for free for older Windows systems, which are still used by millions of individuals and smaller businesses. In Russia, where a wide array of systems came under attack, officials said services had been restored or the virus contained. The extortion attack, which locked up computers and held users' files for ransom, is believed to be the biggest of its kind ever recorded, disrupting services in nations as diverse as the U.S., Russia, Ukraine, Spain and India. Europol, the European Union's police agency, said the onslaught was at "an unprecedented level and will require a complex international investigation to identify the culprits." The ransomware appeared to exploit a vulnerability in Microsoft Windows that was purportedly identified by the U.S. National Security Agency for its own intelligence-gathering purposes and was later leaked to the internet. Before Friday's attack, Microsoft had made fixes for older systems, such as 2001's Windows XP, available only to mostly larger organizations that paid extra for extended technical support. Microsoft says now it will make the fixes free for everyone. It was not yet known who perpetrated Friday's attacks. Two security firms—Kaspersky Lab and Avast—said they had identified the malicious software behind the attack in over 70 countries, although both said the attack had hit Russia the hardest. In Britain, the National Cyber Security Center said it is "working round the clock" with experts to restore vital health services. British Home Secretary Amber Rudd—who was chairing a government emergency security meeting Saturday in response to the attack—said 45 public health organizations were hit, though she stressed that no patient data had been stolen. The attack froze computers at hospitals across the country, with some canceling all routine procedures. Patients were asked not to go to hospitals unless it was an emergency and even some key services like chemotherapy were canceled. 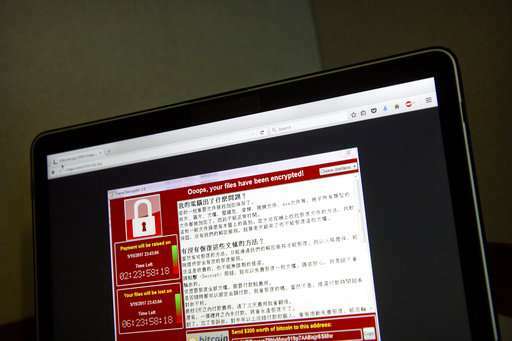 Security officials in Britain urged organizations to protect themselves from ransomware by updating their security software fixes, running anti-virus software and backing up data elsewhere. The Russian Interior Ministry, which runs the country's police, confirmed it was among those that fell victim to the ransomware, which typically flashes a message demanding a payment to release the user's own data. Ministry spokeswoman Irina Volk was quoted by the Interfax news agency Saturday as saying the problem had been "localized" and that no information was compromised. But the ministry's website still carried a banner on Saturday afternoon saying that technical work was continuing. A spokesman for the Russian Health Ministry, Nikita Odintsov, said on Twitter that the cyberattacks on his ministry were "effectively repelled." "When we say that the health ministry was attacked you should understand that it wasn't the main server, it was local computers ... actually nothing serious or deadly happened yet," German Klimenko, a presidential adviser, said on Russian state television. Russian cellular phone operators Megafon and MTS said some of their computers were hit and the Russian national railway system said although it was attacked, rail operations were unaffected. Russia's central bank said Saturday that no incidents had "compromising the data resources" of Russian banks, state news agency Tass reported. French carmaker Renault's assembly plant in Slovenia halted production after it was targeted in the global cyberattack. Radio Slovenia said Saturday the Revoz factory in the southeastern town of Novo Mesto stopped working Friday evening to stop the malware from spreading—and was working with the central office in France to resolve the problem. 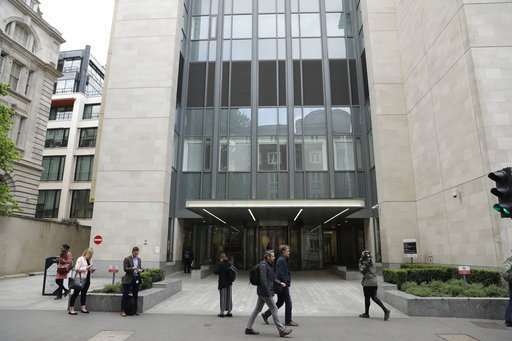 Krishna Chinthapalli, a doctor at Britain's National Hospital for Neurology & Neurosurgery who wrote a paper on cybersecurity for the British Medical Journal, said many British hospitals still use Windows XP software, introduced in 2001. Security experts said the attack appeared to be caused by a self-replicating piece of software that enters companies when employees click on email attachments, then spreads quickly internally from computer to computer when employees share documents. The security holes it exploits were disclosed several weeks ago by TheShadowBrokers, a mysterious group that has published what it says are hacking tools used by the NSA. Shortly after that disclosure, Microsoft announced that it had already issued software "patches," or fixes, for those holes—but many users haven't yet installed the fixes or are using older versions of Windows. In the U.S., FedEx Corp. reported that its Windows computers were "experiencing interference" from malware, but wouldn't say if it had been hit by ransomware. 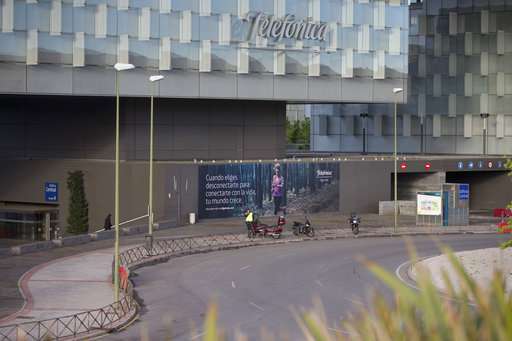 Elsewhere in Europe, the attack hit companies including Spain's Telefonica, a global broadband and telecommunications company. Germany's national railway said Saturday departure and arrival display screens at its train stations were affected, but there was no impact on actual train services. Deutsche Bahn said it deployed extra staff to busy stations to help customers, and recommended that they check its website or app for information on their connections. Other European organizations hit by the massive cyberattack included soccer clubs in Norway and Sweden, with IF Odd, a 132-year-old Norwegian soccer club, saying its online ticketing facility was down. Well we couldnt let it happen by itself now could we? Attack is the only way to improve defense. You should be thanking us. "Frenemy" (less commonly spelled "frienemy") is an oxymoron and a portmanteau of "friend" and "enemy" that refers to "a person with whom one is friendly, despite a fundamental dislike or rivalry" or "a person who combines the characteristics of a friend and an enemy." Pootie thinks he won, but really dark clouds are forming for him. Do you think all his nasty work will go unanswered? Hmm, yes and no. Shouldnt these government bodies be notifying the public about these vulnerabilities and telling to get patched ASAP as opposed to looking for exploits that they can use to their advantage that puts millions at risk at the same time? I think the blame is being directed at the wrong groups here. "Shouldnt these government bodies be notifying the public about these vulnerabilities"
Until an exploit is discovered by a white/grey hat they're regarded as zero-day, meaning there is no current defense. Incredibly useful to a black hat/state actor.
" and telling to get patched ASAP as opposed to looking for exploits that they can use to their advantage that puts millions at risk at the same time?"" Until it's publicly disclosed, it puts no-one new at risk. The worm and backdoor components were built from stolen NSA code, an auction was held, nobody paid, and the code was dumped to a public repository. I strongly suspect the miscreants regret what seemed like a good idea "Let's spread our ransomware as far as possible using this worm, and a backdoor will let us build a botnet as well, profit!" This is why the NSA should not have requested/required (who knows what sort of blackmail tactics were at play there, but the safe assumption is a nonzero value) coders at Microsoft to build them backdoors. This entire incident is *exactly*what they were warned about. They demanded backdoors anyway. They have yet to prove conclusively that their backdoors had any positive impact on any intelligence gathering activity. I hope other companies hotly refuse any such requests in the future. We've seen the end result now. To do anything but refuse to cooperate with the NSA on this is total madness. The file sharing exploit was not requested by the NSA.It was (probably) exploited by them. This on the other hand would be more useful. -I think you're talking about the Russian mafia aren't you? The real govt over there? I think you're talking about the Russian mafia aren't you? The real govt over there? This at the doorstep of hackers and scum like Snowden. The U.S. studies deadly viruses too, has them in labs, and some malcontent could release them, but it wouldn't be the scientist's fault and this isn't the NSA's fault. Depends on how many people paid. I hope other companies hotly refuse any such requests in the future. Unfortunately companies can be forced to do just about anything when one applies the blanket "for national security" excuse. No. This is at the doorstep of scum like you who think the US should develop weapons of (cyber)war. The whole thing is garbage nothing outside of a computer should be able to exert that much control of a person's computer. Soo...how again would you roll out bugfixes? Have a service person come round your house? know what software would cost in that case? Are you willing to pay that kind of money? This is why the NSA should not have requested/required (who knows what sort of blackmail tactics were at play there, but the safe assumption is a nonzero value) coders at Microsoft to build them backdoors [..] To do anything but refuse to cooperate with the NSA on this is total madness. Is there any proof out there that they did this? True, maybe I'm just a trusting sheeple here (what's the singular of "sheeple"?). But I'd like to at least sort of think that this wasn't *completely* created by the government(s) that are supposed to be protecting us. No-one (AFAIK) thinks it was deliberate. OS's are complex beasts, stuffing a 32 bit value into a 16 bit field is an easy error to miss on review. A fuzzing test may have picked it up, but I'm not sure that would have been used extensively at the time of XP. Gee, now it looks like it was the DPRK. Not private hackers. Not the NSA. No one anywhere in the West. A state actor. A rogue state. Wonder what Britain will do if they can prove it. Not to mention Spain. I'm not yet sold on that idea. It would make "sense" for them to start a cyber attack - but to demand ransom instead of just destroying stuff makes little sense (most of all because of potential traceability). Also Russia is, while not directly speaking in favor of NK, one of the few nations not outright condeming them., And it was one of the hardest hit by the virus. I've read speculation that it escaped during testing by the norks. Could be a gov lab with permission to access the 'net, and it hopped from a test net to an outward facing node. Or it could be a false flag, dropping some Lazarus Group code as a red herring.